Laying a hedge can bring many benefits to your garden space. They can greatly reduce exposure and wind damage to plants. 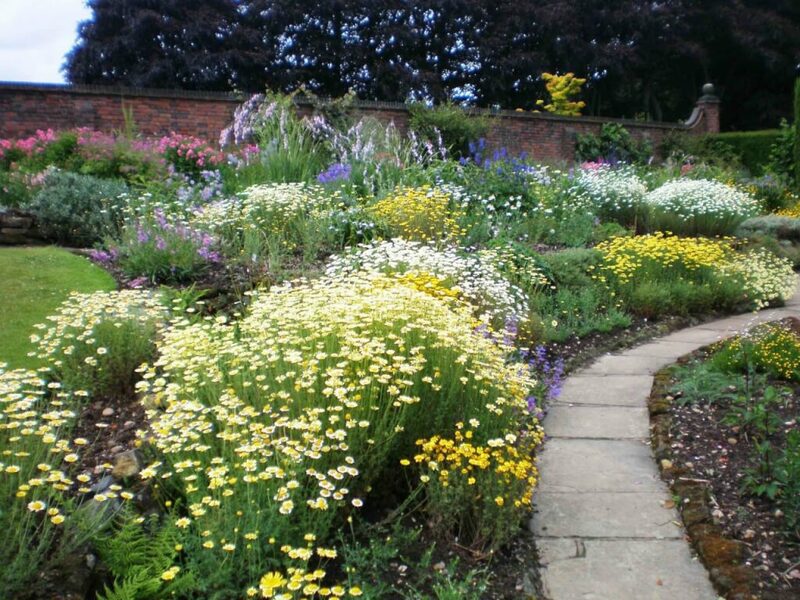 They also provide an environment for wildlife and beneficial insects whilst giving a more natural boundary to your garden. 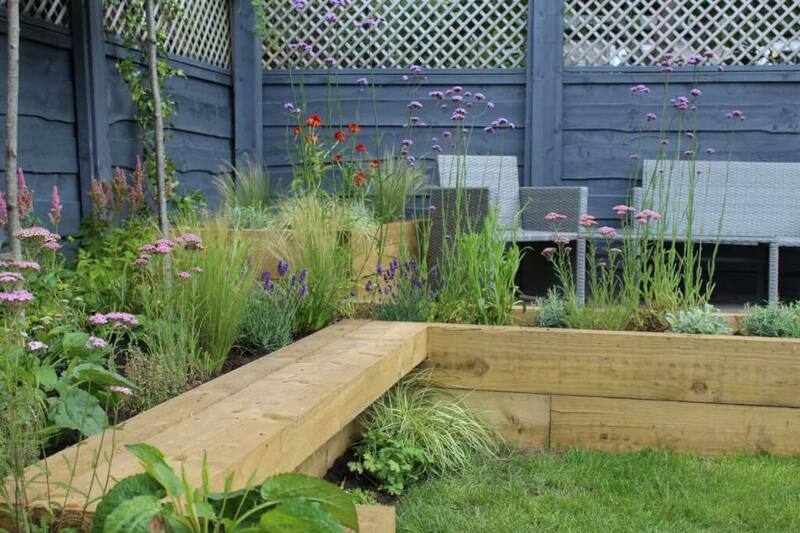 They add a design feature to your garden helping to define your garden. Laying a hedge can be relatively easy so Garden Ninja is here to show you the easiest and quickest way to lay a hedge. There are many guides out there on how to lay a hedge some confusing and others too brief. In true Garden Ninja style, I’m going to take you through the process step by step. Allowing anyone to follow this bulletproof guide to fitting a garden hedge. 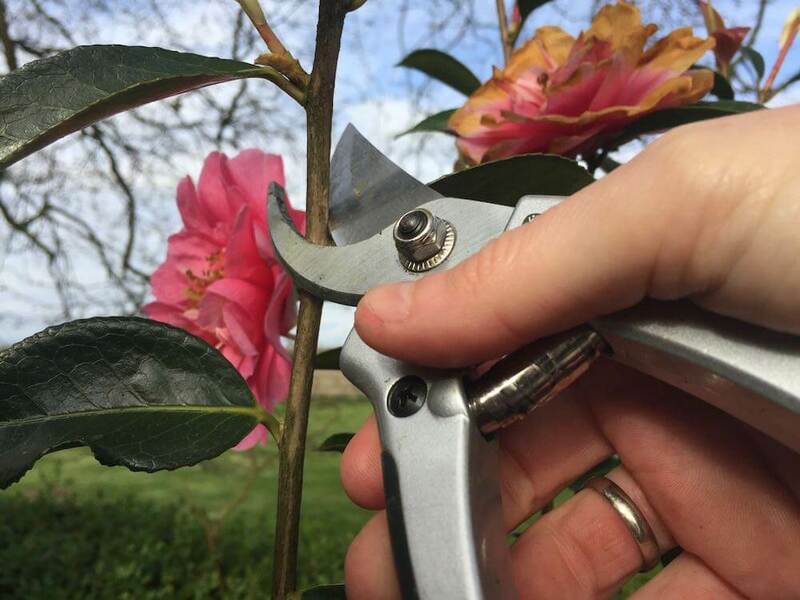 I’ll be guiding you through the various methods from bare root hedging to pot grown hedges. If, like me, you prefer to sit back and watch the guide check out the video below. Hedges provide shelter, screening and privacy and are far nice to look at than wooden fence panels in my opinion. The key pieces of hedge laying equipment are. Watering can – to give your new hedge a good drink! Beth Chatto, the garden legend, has advocated in choosing the right plant for the right place and this couldn’t be truer for hedges. In your haste to fit your new hedge, you do need to spend some time considering what species best meets your needs. Are you looking for evergreen colour? Deciduous hedging that may fruit and then drop its leaves each year. Something that’s fast growing, slow growing bushy or upright, thorny or smooth? Deterrent or aesthetic? As you can see there are loads of criteria. It’s also important to decide whether to choose container grown plants or bare root. Bare roots are much cheaper and require planting when they are dormant during the winter. They require less manual effort as they are smaller but take longer to establish. Container grown plants give an instant effect, require more initial cultivation and irrigation and are more expensive. 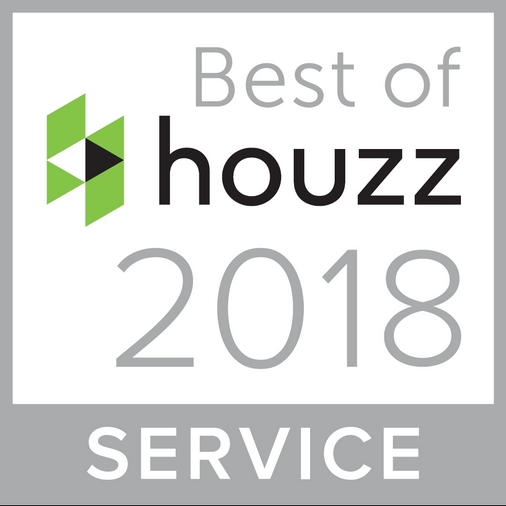 They are preferred if you need a quick boundary or hedge establishing. One of the most important is choosing the correct plant for the soil and aspect of the garden. Consider how exposed the site is, the soil type (clay, silt sandy), drainage and how much sun the plants will get. The RHS Plant finder is an excellent resource for more detail. Here’s a quick list of the top 10 hedging plants and their suitability. Leyland cypress (Cuprocyparis leylandii ) – Super fast growing, tall hedging, evergreen, part shade/sun, exposed, clay tolerant, any soil – Plant with caution, they grow incredibly tall and are not suitable for residential areas. Barberry (Berberis darwinii) – Slow growth, bushy hedging, evergreen, full sun/part shade, part shade/sun, exposed, clay tolerant, any soil. Thorns and barbs deterrent. Hawthorn (Crataegus monogyna) – Fast growing, informal hedging, deciduous, part shade/sun, exposed/sheltered, clay tolerant, any soil, deterrent and thorny, good for wildlife and rural areas. Privet (Ligustrum ovalifolium) – Slow growth, bushy hedging, evergreen, full sun/part shade, part shade/sun, exposed, clay tolerant, any soil. Drought tolerant. Preparing your soil for planting hedges is vital. Fail to prepare and prepare to fail. The more work you put in at this stage the higher the chance of planting success. Firstly you will need to remove any turf that maybe in the area, planting through turf leads to grass and weeds growing in between your hedges and can make for a really messy looking hedge so avoid it at all costs! 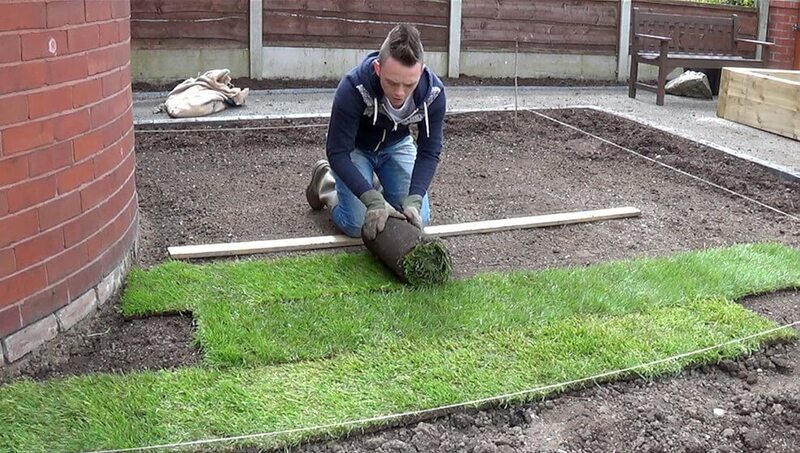 Take up the turf either using a spade or petrol turf cutter. If using a spade slice through the turf at a depth of 1-2 inch. The slice under the turf to remove. Alternatively, you could use a petrol powered turf cutter to take all the hassle out of lifting large areas of turf. It depends on the amount of turf you need to lift. Digging over the soil for your hedges helps break up compaction, aids drainage and adds air to the soil. This enables your newly planted hedges to easily root and establish in the soil. You can do this either with a spade and fork turning the over the soil until it’s broken into a suitable tilth (crumbly texture) or with a petrol powered cultivator. Ensure you cultivate a 60cm wide trench for your plants, this will create a neat boundary for the hedge and allow you to edge the lawn that may adjoin it. Remove any rocks or debris and now you’re ready for the exciting part, planting the hedges! Please don’t be tempted to add buckets of lovely compost! The reason why is that compost degrades quickly and when planting a hedge it can lead to the hedge dropping and becoming uneven. If you want to use compost for hedges then please use it as a mulch afterwards! Before you rush straight into planting, make sure you work out the plant spaces, again the RHS website can help. I tend to use canes to mark out each meter and then work out how many hedges to place within that meter. Use your trundle wheel to measure out the spaces in record time. You will need to dig in your hedging plants to the required depth for the plant species you have picked. For the Griselinia littoralis, I’ve used its 1 1/2 depths the pot in which they arrived in. I also dug the holes twice as big as the pot. This allows you to break up the soil and aid root growth and irrigation. The tap the plant out of the pot, tease out the roots and then place this in the planting hole you’ve just dug. Ensure that the level of the plant is the same as it was in the pot. Don’t be tempted to plant it deeper or cover the stem as this can cause it to rot. If it’s too deep backfill slightly before placing it in. Then you need to compact the soil firmly around the plant using your hands. Once you have done this you can then use your heel to carefully ‘heel’ in the plant to ensure its stable and well held in the soil. It also helps remove air pockets. Then its a case of doing this for each hedge plant or bare root. It may be best to recruit some friends, pay them with beer and a BBQ to help you plant. Especially if like me you have 300 plants to plant up! Once planted you will need to water your hedges thoroughly. Given their lack of root structure in the new soil you need to make sure they have plenty of water to help sustain them and enable them to send out new growth and roots. Laying a seep hose or irrigation can help save time in watering your hedges and can be attached to a timer if need be. New hedges will need to be watered at least twice a week even daily if the temperature is high. Top tip: It’s better to give a good soaking once or twice a week than a light water every day. Mulching the hedge can help retain moisture and feed your new hedges. Good quality compost is an excellent mulch and will help feed your needy hedge plants slowly over the season. Hedges are used frequently in garden design to mark out spaces, screen off views, hide parts of the garden and provide structure. Depending on the style of your garden hedging can be used in a formal or informal way. Formal hedging uses clipped straight lines to give a clean sharp and symmetrical viewpoint. 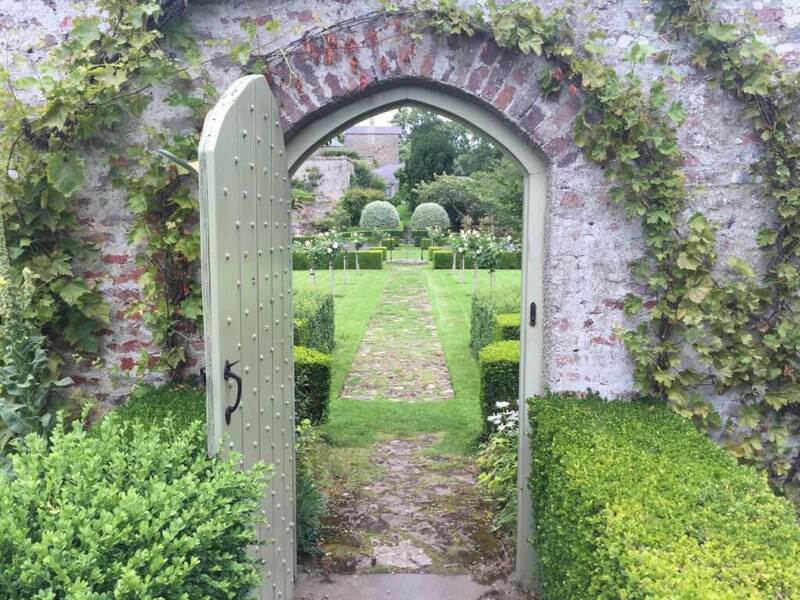 Clipped box, yew or hornbeam are all classic examples of formal hedging. These are usually considered higher maintenance and can have a dramatic effect on the garden. Knot gardens often used clipped box as a low hedge to mark out the areas or parterre of the garden design. The key with these styles of hedges is order and symmetry. Informal garden hedging is far more relaxed and natural. Species such as Prunus spinosa, Cherry Laurel, Fuchsia and Hawthorn are often used as informal hedge species. They are usually less manicured, though not always, and have a softer look on a garden design. These are usually better for wildlife as they are not as tightly clipped and so can become home to nesting birds and insects. Always take care when clipping that there’s no nests or young birds in the hedge at that time! Laying a hedge really is quite simple. It does take some consideration and effort but once you have put the planning in the chances of success rise significantly. Not only are you providing a screen and windbreak but you are encouraging wildlife that will feed, take home and shelter in your new beautiful hedge. As a final bonus, hedges can add a real design edge to your garden design. So really is not exciuse for not considering adding a hedge in your garden to replace a fence or dead area! If you’ve liked this article why not comment or share it to help others? Viva la hedge revolution! Sorry, but this is PLANTING a hedge, not LAYING it. LAYING a hedge involves taking an existing hedge, part cutting and interweaving the woody parts so as to produce a barrier without gaps. This was traditionally done to fence in stock, but can also be used to sort out a domestic hedge where there is little in the way of foliage near the ground.